CORFLO* Nasogastric/Nasointestinal Pediatric Feeding Tubes with Stylet with ANTI-IV* Connector should be used with the Avanos CORTRAK* 2 Enteral Access System (EAS), CORTRAK* 2 Nasogastric/Nasointestinal (NG/NI) feeding tubes to empower clinicians to place NG/NI tubes at the bedside without the need for X-ray confirmation. These tubes are available in a wide variety of adult, pediatric and neonatal sizes. Additionally, we offer multiple packages that feature optional features such as Anti-IV Connectors, stylet connect types that are flow through or non-flow through, and adhesive bandages. 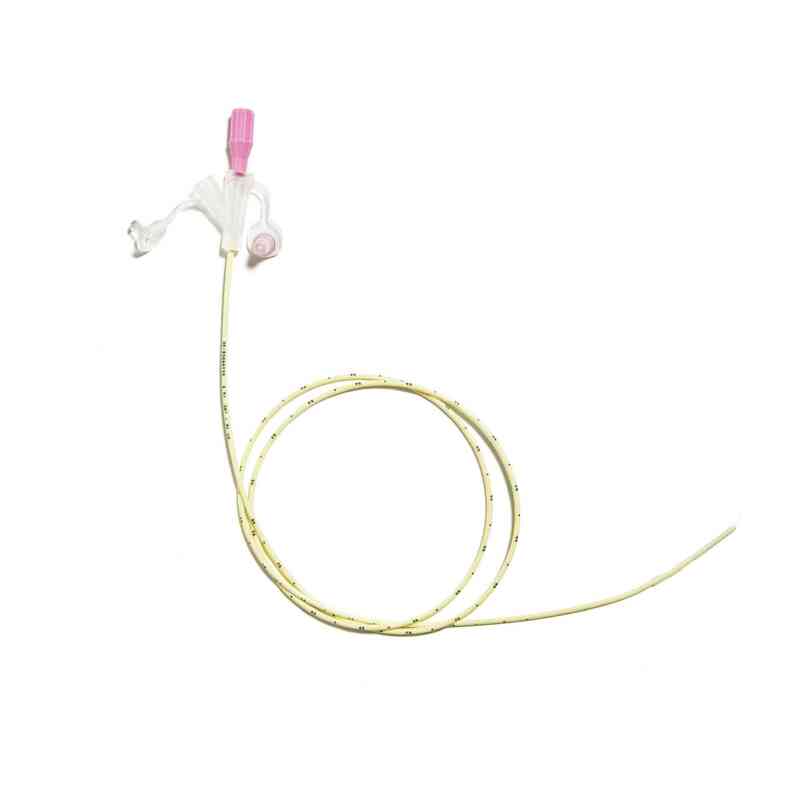 CORFLO* Nasogastric/Nasointestinal Pediatric Feeding Tube with Stylet with ANTI-IV* Connector is uniquely designed for delivering enteral nutrition. Each package comes with a variety of features that provide consistent performance and convenience, including an anti-clog bolus, centimeter markings, and a water activated lubricated tip and internal lumen. Multiple Choices for Clinician Convenience With multiple packages from which to choose, clinicians can choose whether or not they want ENFit, Universal, and Anti-IV proximal connectors. Similarly, our polyurethane CORFLO* NG/NI tubes are available in various lengths and French sizes. Clinicians can also select the option of having a stylet that is either of the “flow through” or “non-flow through” design. Avanos Medical, a leader in the enteral feeding market, offers a wide variety of innovative, high-quality enteral feeding tubes and accessories designed for delivering enteral nutrition.